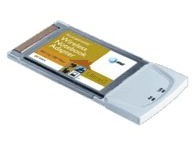 Update your Plug&Share Wireless Notebook Adapter 108Mbps 802.11g with the latest software. Choose the most-recent file below to begin the fast download and automatic update process. The driver and utility files are compressed in a ZIP file format. 1) You will need to un-compress the ZIP file using WinZip or similar program. 2) Once unzipped, double click on setup.exe to launch the installer and follow the instructions provided. NOTE: If you have drivers already loaded, the installer automatically detects and removes the current drivers. You will then need to double click on setup.exe again to install the new drivers.